Gilly﻿'s Place is set in the Ionian Sea on the beautiful island of Kefalonia, the setting for 'Captain Corelli's Mandolin. It is privately owned and managed, a real home, not just a holiday home and it is quite simply, paradise. 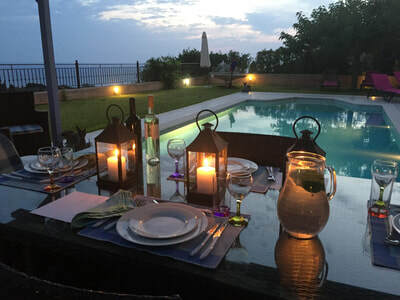 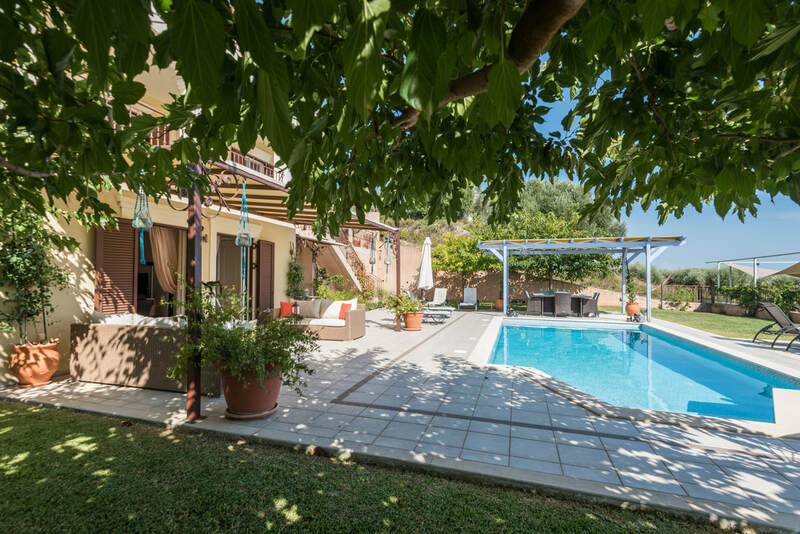 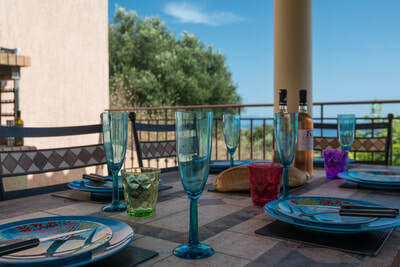 Conveniently situated only 12 minutes from the airport, the house nestles on a hill at the edge of the village of Lakithra, only 15 minutes from the capital, Argostoli, with it's excellent shopping, restaurants and vibrant harbour-side. 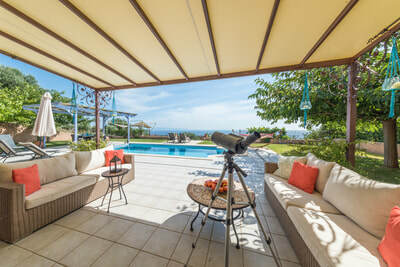 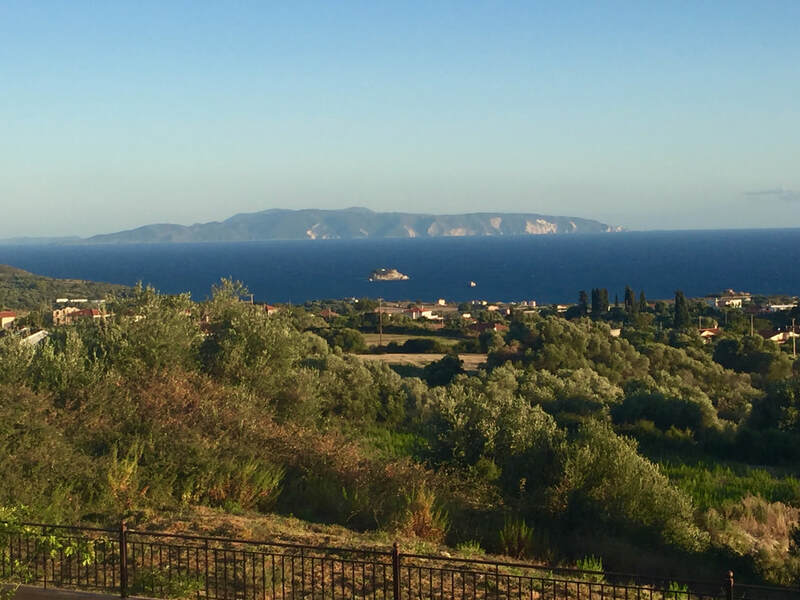 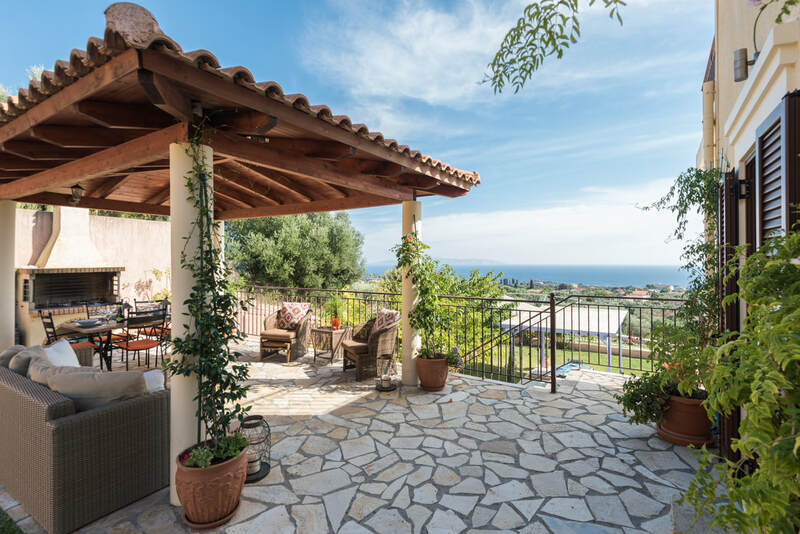 10 minutes drive from beautiful sandy beaches and enjoying spectacular sea views towards neighbouring Zakinthos, the mountains provide the inland backdrop to the house. Comfortably sleeping 6 -8 with two indoor living rooms, five individual outdoor eating and lounging spaces, providing lots of opportunity to enjoy the stunning scenery. Lakithra is a 'real' Kefalonian village where you will find 3 tavernas, a bar, a mini market, a village bakery and a renowned patisserie selling delicious cakes and goodies. ﻿﻿Gilly's Place﻿﻿ is designed to offer everything you could want with a range of relaxing spaces, both indoor and outdoor, ensuring you never feel cramped. 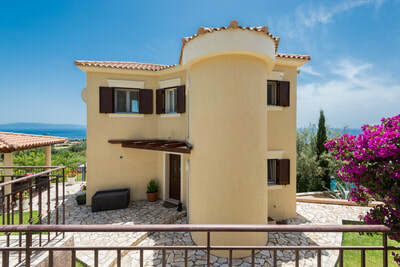 ​To take a tour click here.